Kern County, California, 1952: a 1949 Kaiser raced down a desert runway with a streamlined object fitted to a crude bracket on the right side. Lacking a wind tunnel, the passengers — engineers in the front and back seats — took notes on the model’s aerodynamic performance. They were testing the XAAM-N-7, the world’s first infrared air-to-air missile (AAM). Sixty-two years later it remains the world standard. Based on a five-inch rocket body containing barely 20 moving parts, and a solid-fuel rocket motor, the XAAM-N-7 became the AIM-9 to the Navy and originally GAR-8 to the Air Force. For guidance, McLean’s team conceived a rotating reticle mirror system in the seeker head, controlling canards that steered the Mach 2 missile toward its target. Pilots knew the seeker was tracking when they heard a “growl” in their earphones — louder being better. The ’winder weighed about 190 pounds including a blast-fragmentation warhead of 20 pounds or more. It killed by direct impact or a proximity fuse releasing an expanding-rod cone that severed airframe parts. The early models were produced for about $1,000 each —roughly $9,000 today. With a 25-degree tracking cone, early Sidewinders were only effective against non-maneuvering aircraft from almost directly astern. Due to ground clutter, they had better range at altitude (about two miles) reducing to about 800 yards closer to the earth’s surface. But live-fire tests from Douglas F3D Skyknights scored the first drone kills in 1952. Four years later, the first fleet AIM-9 squadrons deployed with F9F-8 Cougars and FJ-3 Furies. Sidewinder was available to Nationalist China, and on September 24,1956, “ChiNat” F-86s clashed with mainland MiGs over the Taiwan Strait. The Sabres surprised the MiG-17s at high altitude from astern, with Lieutenant Colonel Li Shu-Yuan and Lt. Qian Yi-Qiang scoring the Sidewinder’s first combat victories. Two other MiGs fell to ’winders that day, inaugurating the missile age to air combat. Though the AIM-9B was deployed to the Navy and the Air Force, subsequent models tended to be specific to either service. The uncooled Bravo seeker head was improved with nitrogen or argon gases or the Peltier effect, providing increasing discrimination of heat sources. However, during the Vietnam War (1964-1973), U.S. Navy and Air Force fighters fared poorly against Communist MiG-17s and 21s. At the end of the first phase of the war, the overall kill-loss record was only 2.5 to 1. Clearly, something was wrong. In 1968, Capt. Frank Ault was charged with evaluating Navy air-air combat results, offering recommendations to improve the unsatisfactory victory-loss ratio. His document, the Air-to-Air Missile System Capability Review, is best known for recommending what became the Top Gun fighter weapon school. But he also described how industry, the Navy, and fleet squadrons could tweak missiles for better combat results. Major problems were manufacturers’ quality control; maintenance in squadrons; and aircrew recognition of firing parameters. Ault noted that in three months of 1968, the Navy fired 12 each of Sidewinders and radar-guided AIM-7 Sparrows in combat, with just two kills, both by ’winders. At war’s end, Navy Crusaders and Phantoms claimed 46 MiG kills with AIM-9B/D/Gs while USAF Phantoms and F-105s reported 34 kills with B, E, and Js. The 80 Sidewinder victories were scored from 452 firings for only an 18 percent success rate. However, it was superior to the more sophisticated Sparrow. In the 1970s, fighter pilots gleefully received the new-generation ’winders with “all-aspect” missiles. Able to track a target from straight ahead, the L and M employed new fusing and cooling for increased lethality. 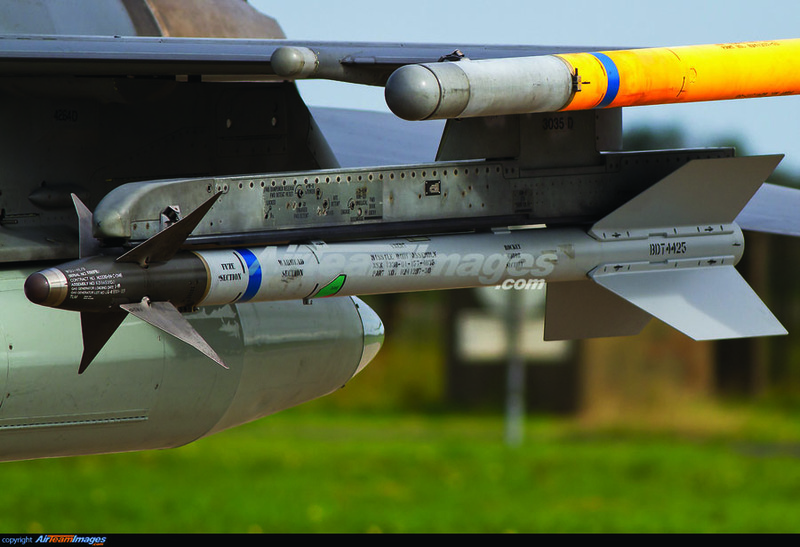 Highly agile, the AIM-9L has a 32-G maneuvering capability. First combat for the Lima was the 1982 Falklands/Malvinas War when British Sea Harriers’ missiles were over 70% effective, scoring nearly all the kills against Argentine jets. That same year Israeli F-15s and 16s claimed major victories over Syria. The Navy expanded the 9M into the R with a focal-plane array largely immune to traditional IR missile problems such as terrain and clouds. The AIM-9P was widely exported with some 21,000 produced. Finally, in 2003, the AIM-9X featured an off-boresight capability, widely expanding acquisition and firing parameters. It can be mated to helmet-mounted sights, and with thrust vectoring, it’s a true dogfight missile, capable of maneuvering against a target aircraft. In 2013, an “X-ray” cost about $665,000 per round. With more than 200,000 rounds produced, Sidewinder has been used by more than 50 nations, with nearly 300 kills claimed by the U.S., Taiwan, Britain, Israel, Iran, Pakistan, and Saudi Arabia. In its seventh decade, the old aerial snake still has a lethal bite.